Fantastic service, nothing was to much trouble delivery and pick quick and easy! Friendly staff! Couldn't fault the company at all! Would highly recommend! Disco dome was a massive hit and great fun! Will be using this company again for sure! Hired a castle for our school summer fair. Great communication and easy to get in touch with. Turned up on time and very friendly. Will use again. 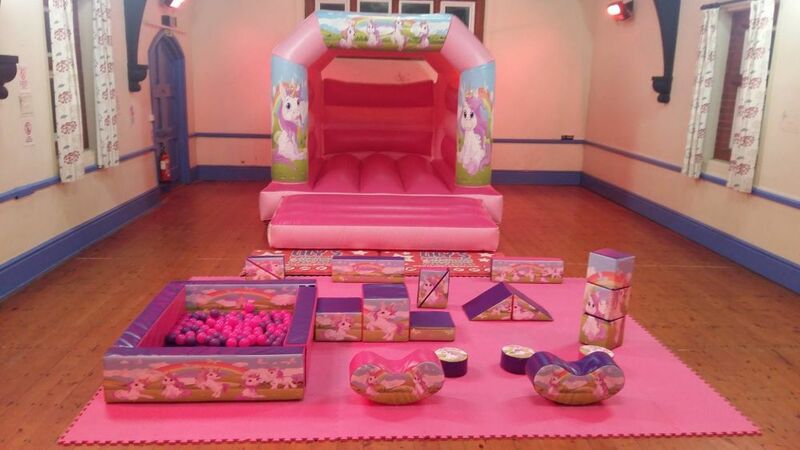 This is our brand new Unicorn themed soft play which includes 17 interactive soft play shapes, 2 jelly bean rockers and a ball pool filled with pink and purple balls, plus our Matching 12ft x15ft Unicorn Bouncy Castle. All with amazing detailed artwork. Supplied with pink mats providing a soft, safe play area for your little ones. Soft play is great fun for babies and children up to 5 years old although is also enjoyed by older children too. Whether they're building up the shapes to make pictures or playing in the ball pool, it is sure to keep them entertained for hours! This unicorn package is very popular at christenings and birthday parties etc and is Available for hire in Suffolk,Cambridge Newmarket, Mildenhall, Burwell, Exning, Soham, Ashley Green and surrounding areas.